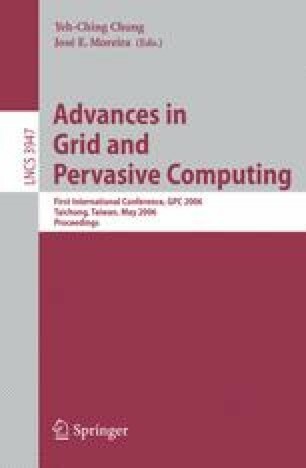 In this paper a software sharing system is developed in the grid environment to enforce On Demand Computing policy and maximize the usage of both hardware and software resources. The system adopts the constellation model for resource management and combines the sharing and scheduling of both hardware and software license resources to address the ever-increasing demands of software resource sharing in Grid and for Service-oriented computing. The system’s ability to sustain the software’s legacy GUI helps reduce the complexity of system integration and enhance usability. This research is supported by the"863" project, "CNGI" and "211"project of China.